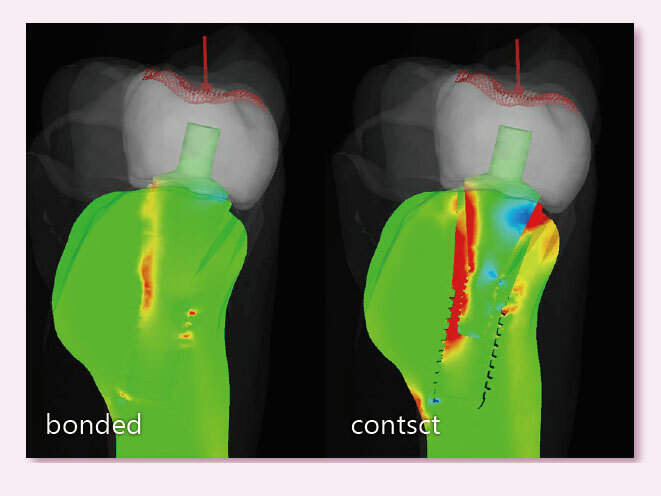 easy to make a comprehensive analysis of the femoral implant in a matter of minutes. 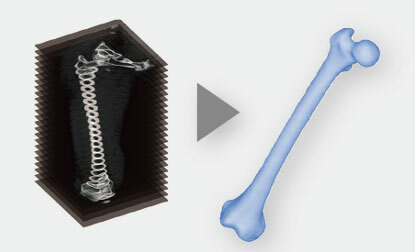 With regard to bone, bone density has been used for evaluation of bone strength, especially osteoporosis risk. 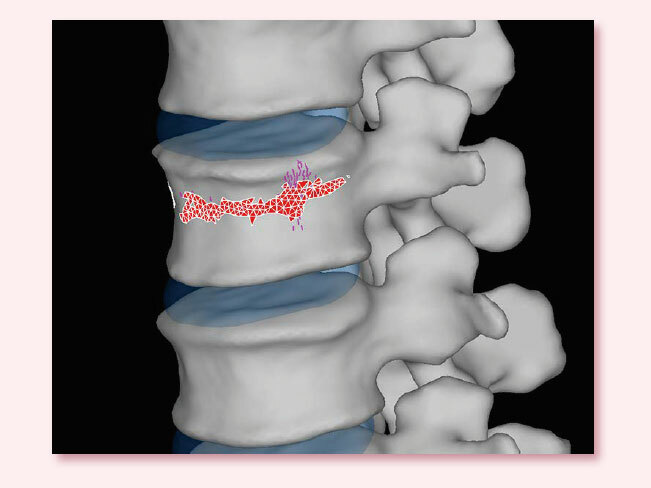 However it has been pointed out the limitation that bone density can not remove the influence of bone spur or calciﬁed vessel which don't contribute to strength and can not consider bone structure. 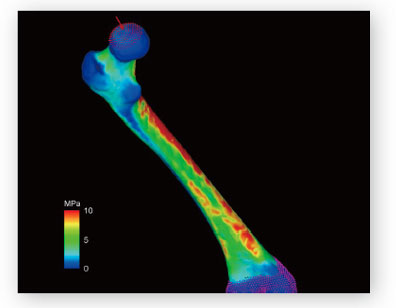 Therefore evaluation of bone strength by finite element analysis have attracted attention over the years. 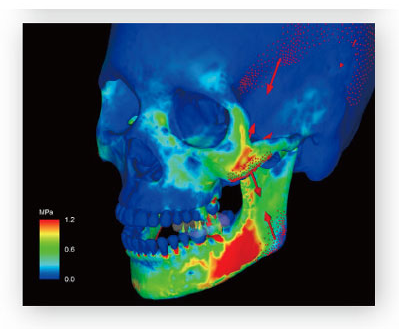 This method evaluates the bone strength by constructing patient-speciﬁc bone model from CT data, assigning bone density and material properties from CT value, and performing ﬁnite element analysis. Today, it is used for various analyses such as implant installation or osteotomy in research ﬁeld. 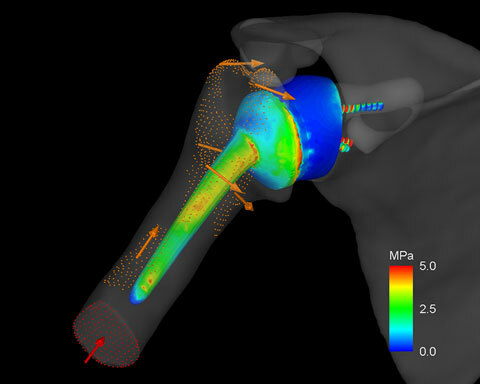 Computer simulation has beneﬁt that analysis or measurement which can not be performed in vivo or experiment using cadaver is possible. However widely-used software has general versatility and high functionality, they make it difﬁcult for non-engineer to learn the operation and the technique for an analysis. 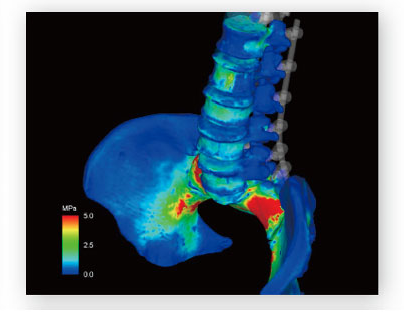 MECHANICAL FINDER is the finite element analysis software developed for medical doctors to analyze with no difﬁculty in clinical practice and a study. 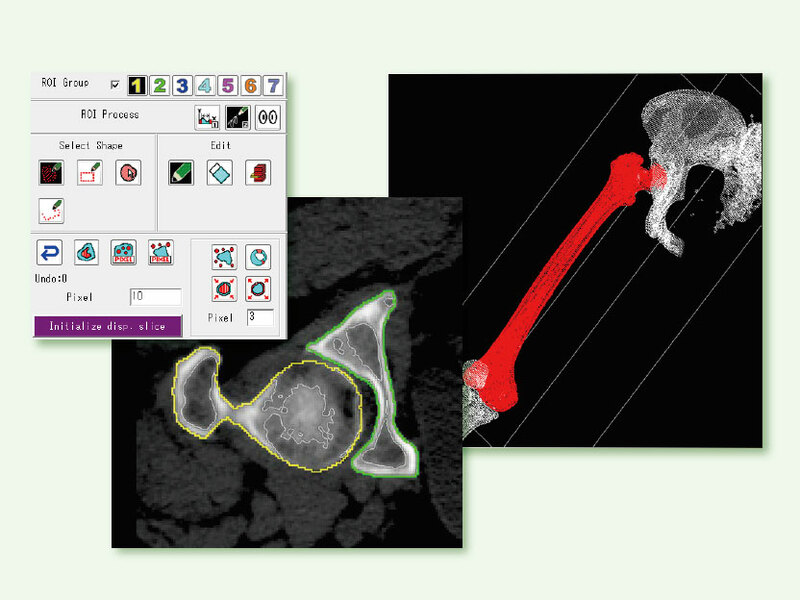 MECHANICAL FINDER is the software to evaluate bone strength by considering the entire bone as a three-dimensional structure and applying ﬁnite element analysis. 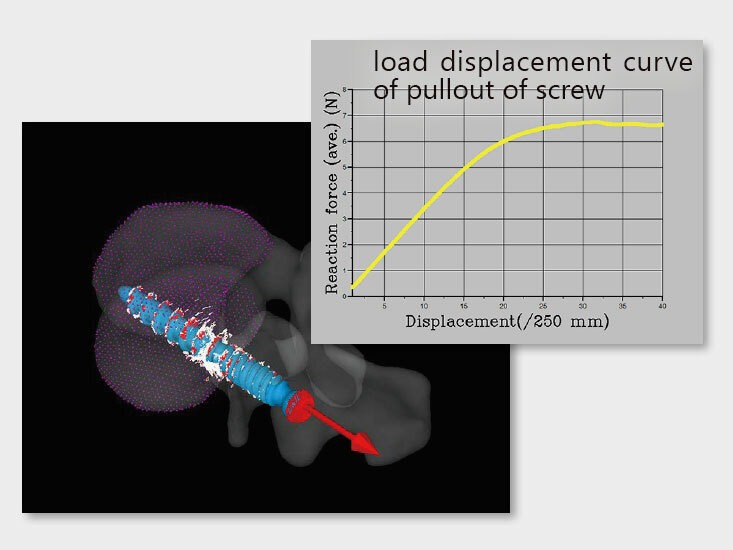 Quick and easy easy to make a comprehensive analysis of the femoral implant in a matter of minutes. 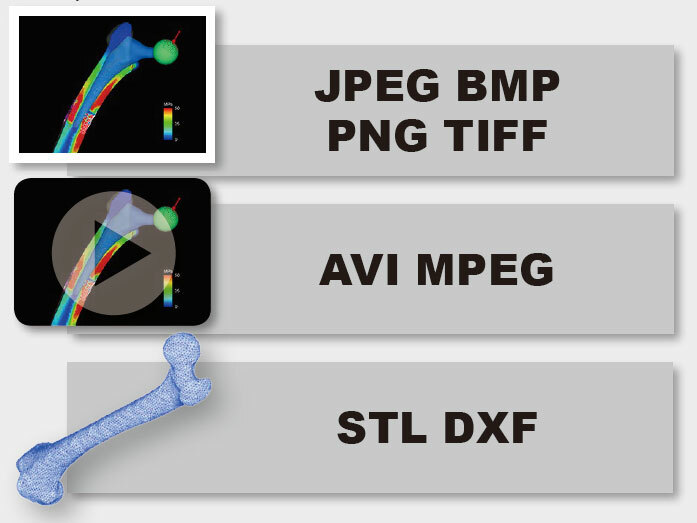 MECHANICAL FINDER includes all functions needed for CT-based Finite Element Analysis, that is, from loading DICOM data to analysis. 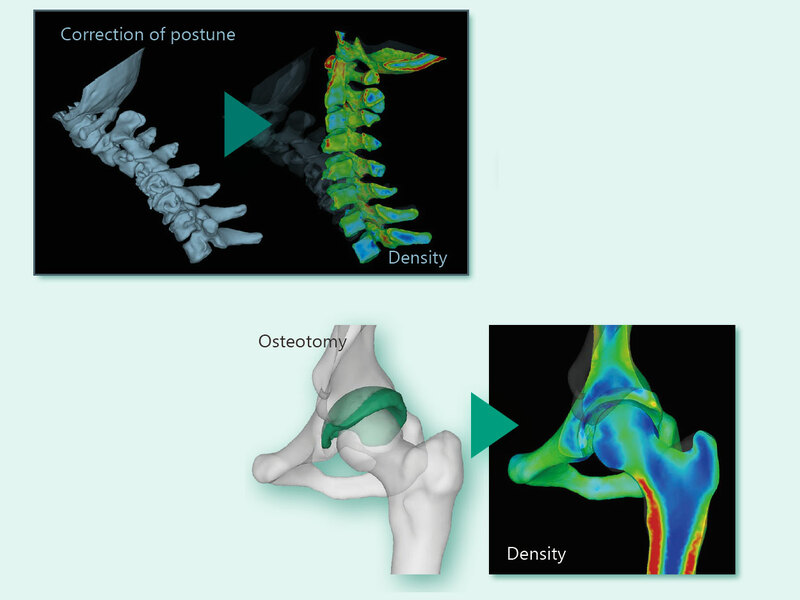 CT-based modeling enables constructing model with patient-speciﬁc bone geometry and density. 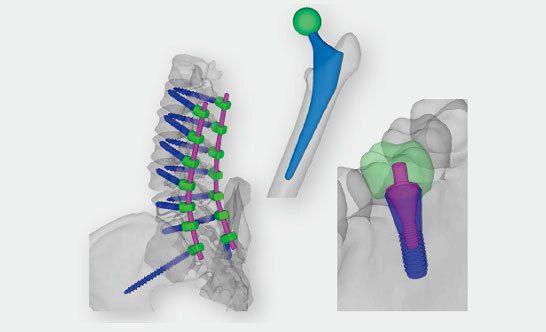 Owing to a computer simulation, a position of an implant can be modiﬁed to achieve optimum one. 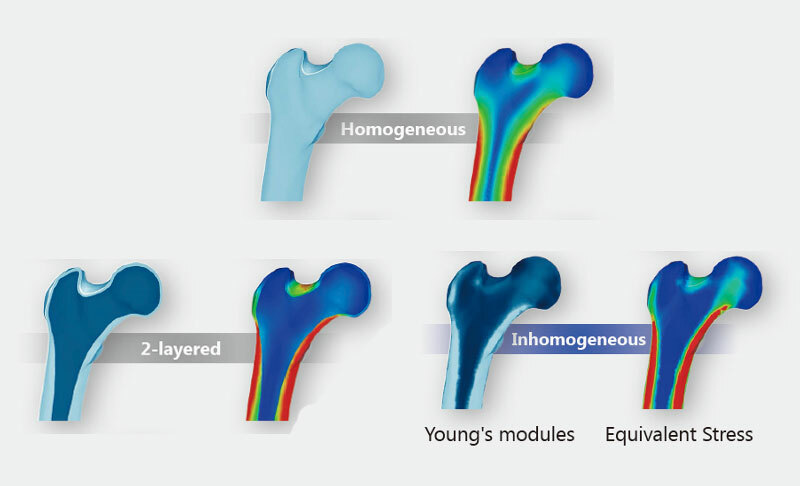 Bone has been modeled as homogeneous or 2-layered material in analysis. 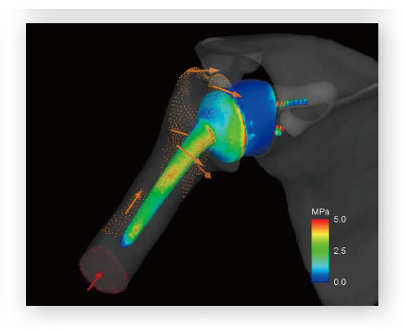 MECHANICAL FINDER can build it as an inhomogeneous material reﬂecting CT value. Technical stuﬀ support your analysis by responding your inquiry ranging from an operation procedure to a consultation of analysis. 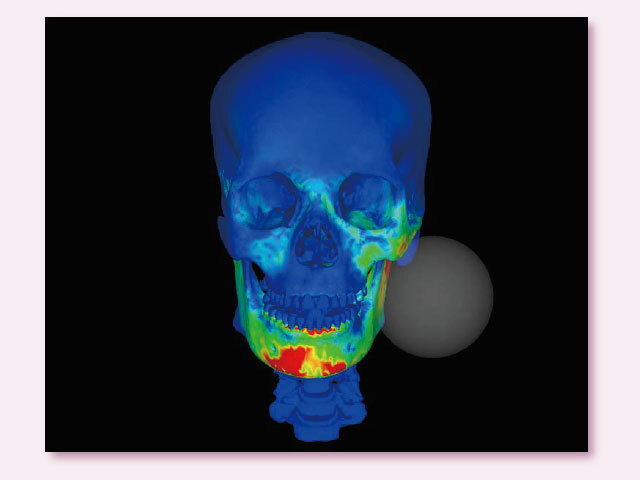 We produce your analysis of CT data according to your specifications and setting. Simply enter your email address and we will send You the full pdf. 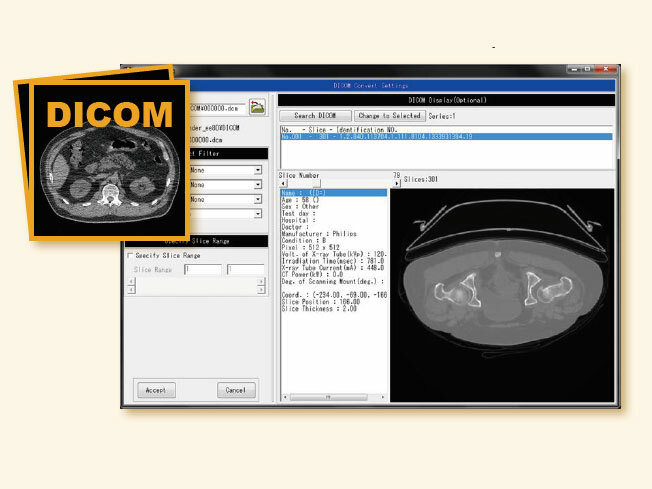 DICOM(Digital Imaging and Communications in Medicine) data such as CT and MRI can be imported. 3D-model can be constructed from a series of BMP, JPEG, and TIFF file. 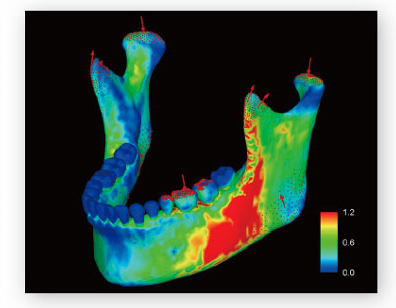 ROI(Region of Interest) extraction is performed by designating the area to be analyzed on CT image in 2D mode, and performing extraction or cutting in 3D mode. Phantom setting is possible that enables density value calibration. 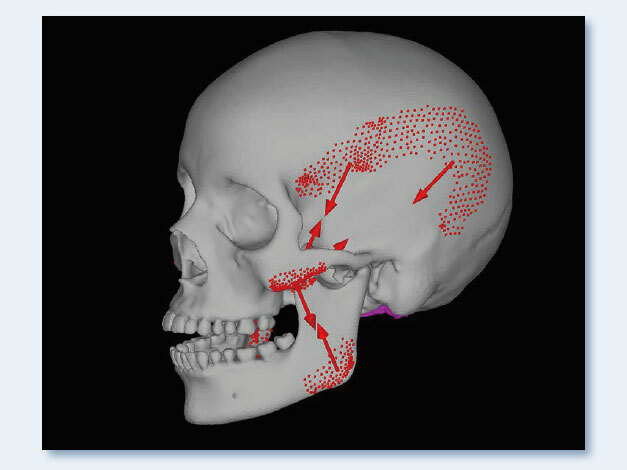 Correction of posture, osteotomy, and bone graft can be modeled with its inhomogeneous material properties. 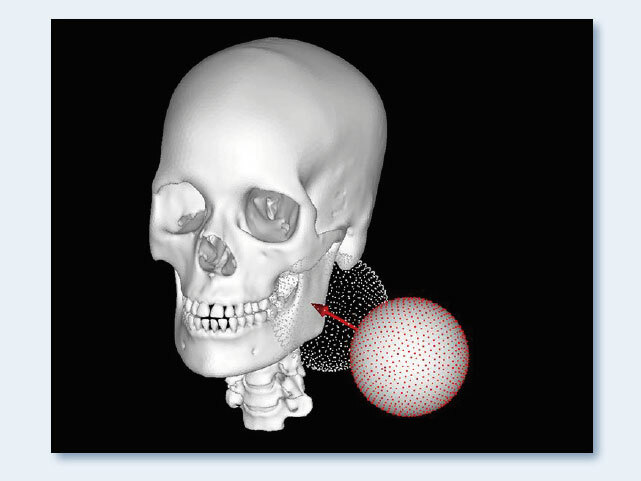 Material properties of each element are calculated from CT value, then inhomogeneous material can be constructed. User-established conversion equation can be also applied. 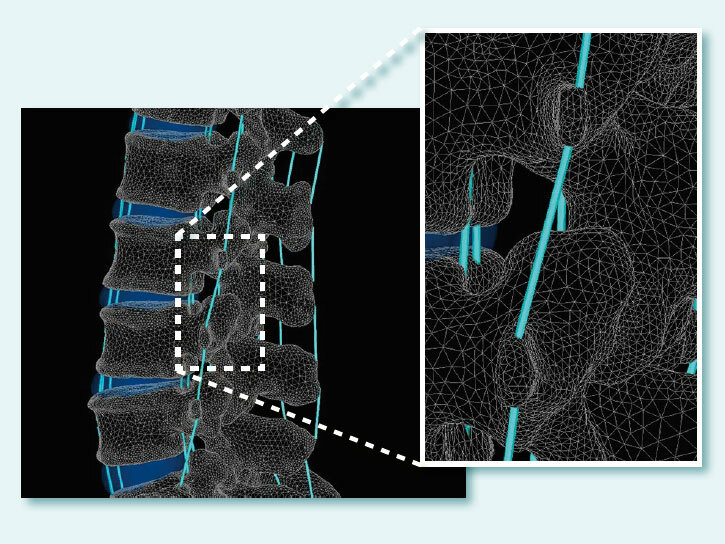 Truss element defined by relation between strain and tension can be modeled and useful for modeling of ligament. 20 groupings can be set for load and constraint area. 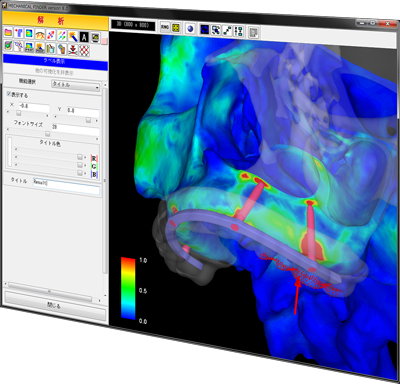 Analysis with displacement control can be also performed. 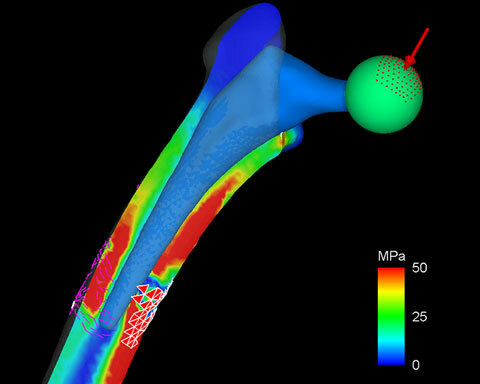 Initial velocity can be set to each separated material for shock analysis. 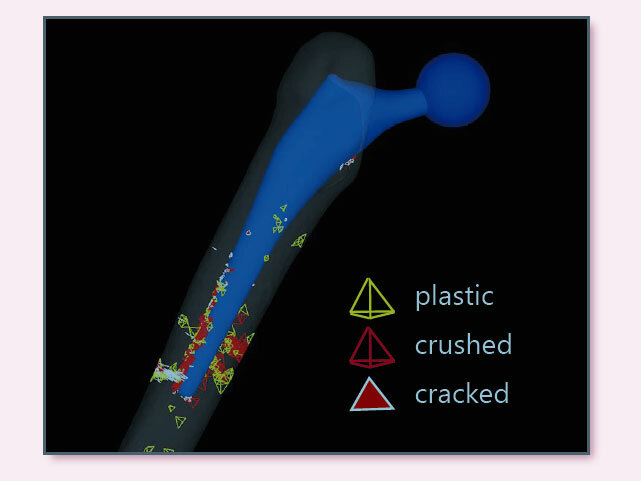 Material nonlinear analysis which handles fracture and plasticity of element can be performed. 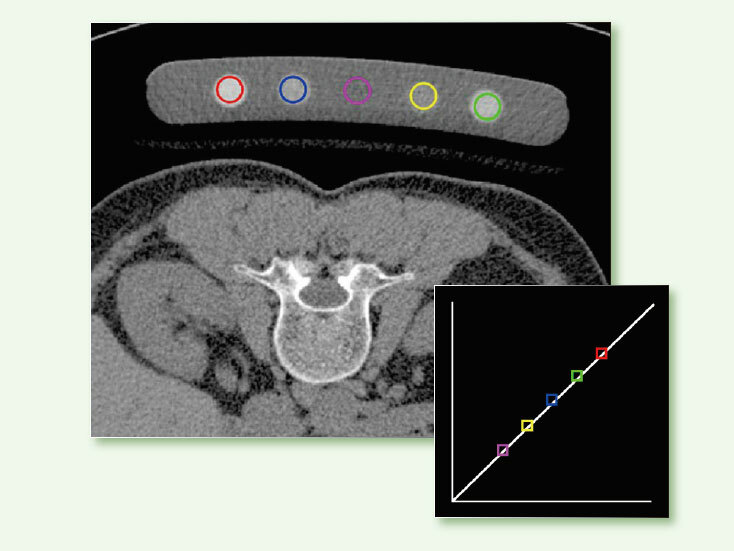 Analysis with large deformation or rotation can be treated with geometrical nonlinear analysis. 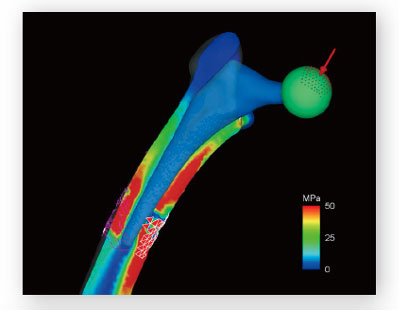 Shock analysis or analysis with inertial force can be performed by dynamic analysis. Contact condition can be applied at the boundary surface between materials with friction coefficient. Vector of deformation, contact force, or tension of truss element can be visualized by arrows. Direction of principal stress or strain can be visualized to evaluate either compressive or tensile direction. 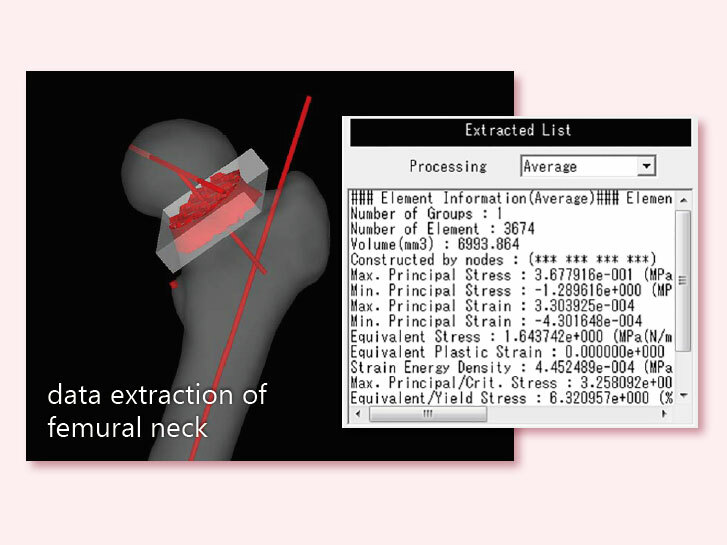 Results or material properties of designated area can be extracted in numerical data. Extracted data can be output in CSV file format. With the material non-linear analysis, plastic, crushed, and cracked element can be displayed. Histogram or time series graph for material properties or results can be drawn. The function enables to draw load displacement curve as tensile or compression test. Image, video, and 3D-animation of display screen can be output. Surface geometry of model can be output in STL/DXF file format. 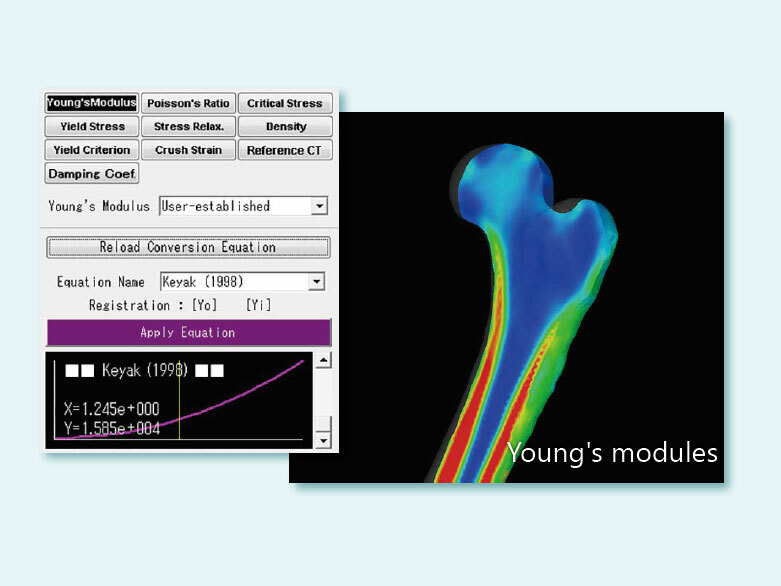 Standard Edition is optimized for those who perform finite element analysis for single bone. 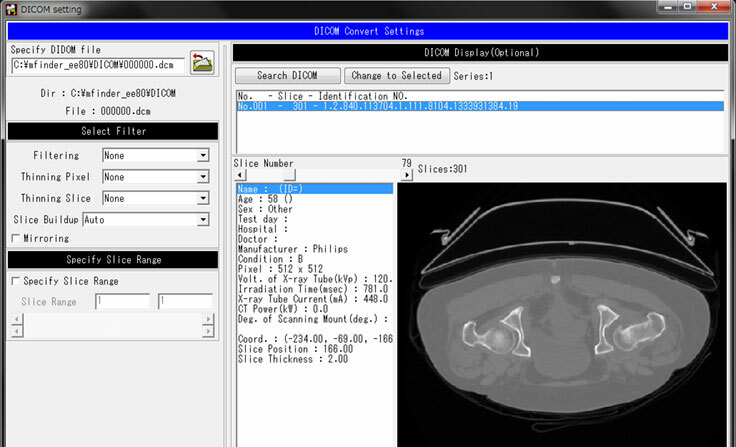 Loading of DICOM data to analysis is possible on this edition. 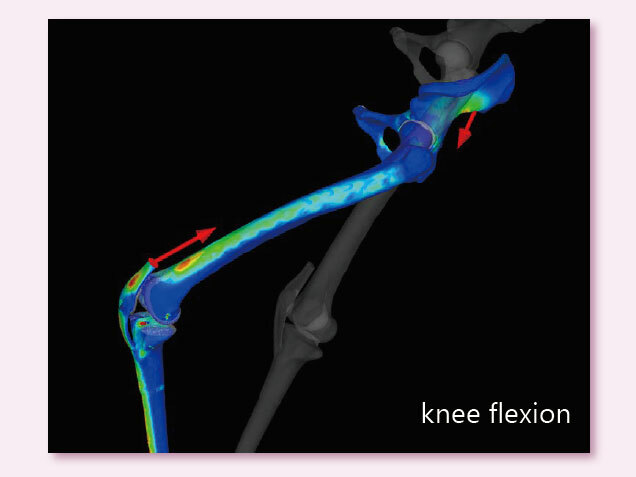 After finite element analysis, stress, strain, or fracture of single bone can be displayed. For analysis, material properties including density value/Young's modulus can be assigned to complete inhomogeneous material by conversion equation from CT value to density. and setting of initial velocity can be performed. 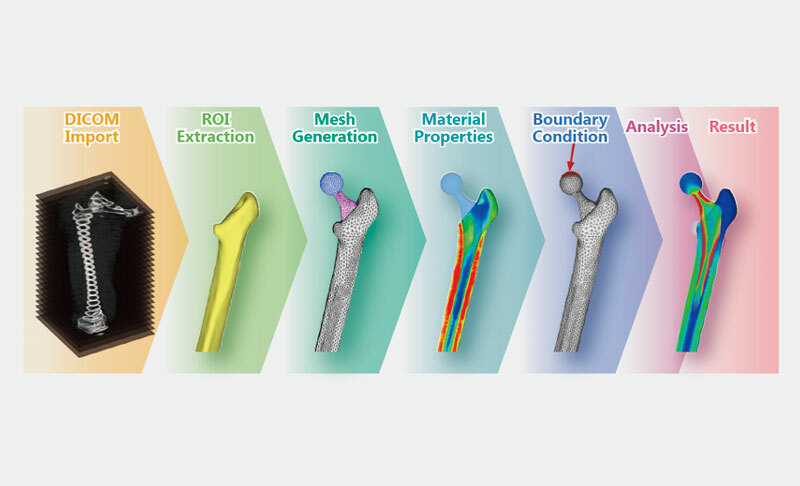 Mesh generation for complicated model such as implant-installed bone can be automatically processed. On "Functions" pages, function marked with (EE) is equipped only in Extended Edition. MECHANICAL FINDER was approved as a medical device by Japanese Pharmaceuticals and Medical Devices Agency as follows on 21 January 2016. 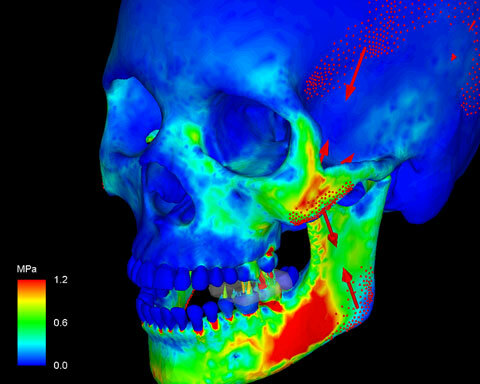 Finite Element Analysis can be applied to various researches even in medical field. 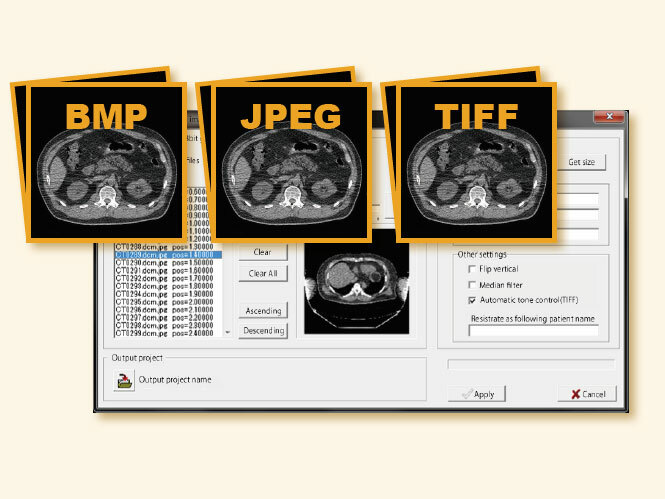 MECHANICAL FINDER has been used by a lot of medical doctors and researchers in hospital, university and reserarch instituion for their wide-ranging researches. Some of the related papers and presentations are listed here. Please, contact us for more detailed quotation. 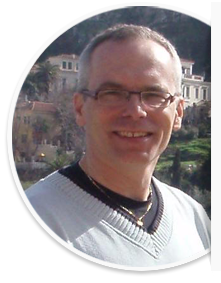 "Mechanical Finder is a great program, where all necessary tools are in a single package. 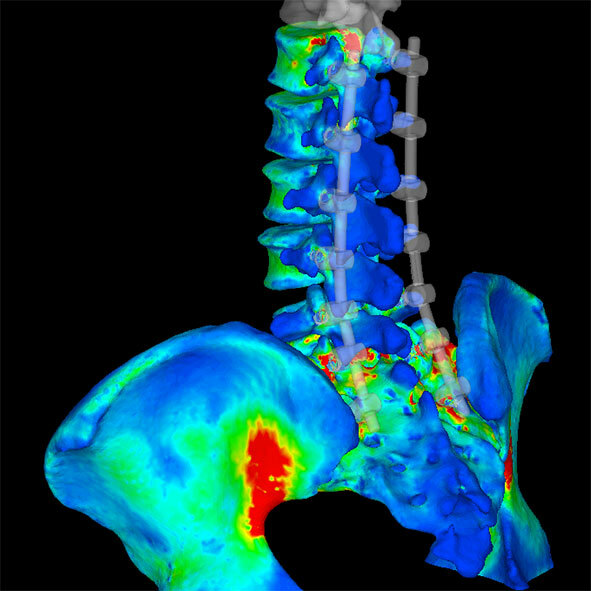 This is exactly what we were searching for in our project on minimally invasive treatment of the femoral neck osteoporosis." 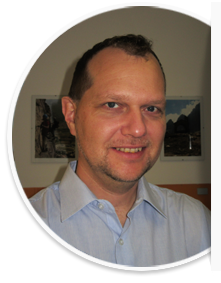 High level strategist for complex projects, with an emphasis on performance and vision. His tireless energy moves the whole team. 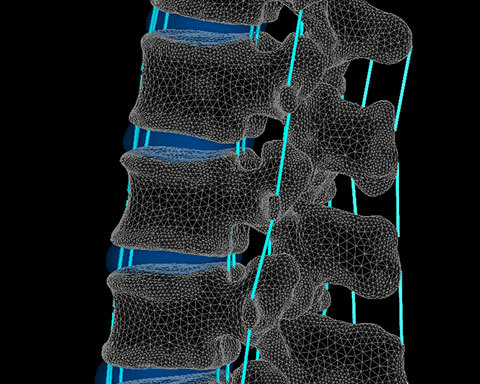 I have been working for more than 20 years with nonlinear simulation of brittle materials and it is exciting to see the application of computational mechanics in medical science and directly helping individual persons. Should You need any more information, please contact us.